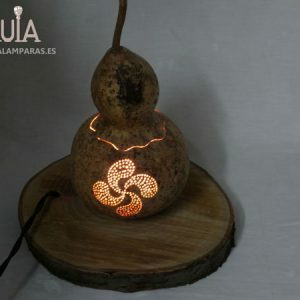 Decorative bedroom lamp made and designed in an artisanal way with a gourd that we ourselves cultivate in an ecological way. 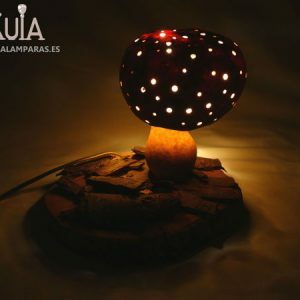 This lamp is designed as bedside lamp, to be placed next to the bed while watching TV, read, or just relax. 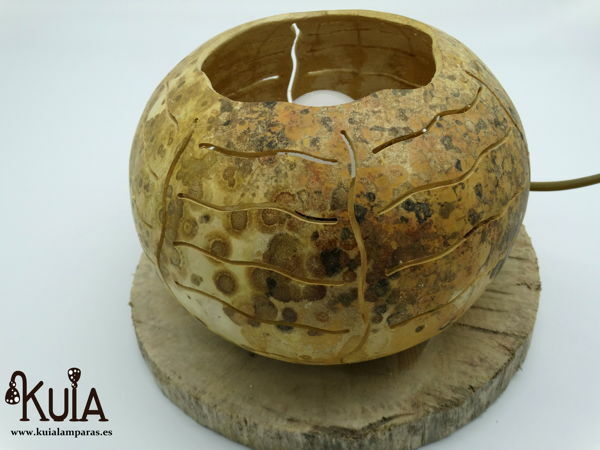 With its peculiar design full of slits, it gives it a futuristic look, without ever neglecting the rustic style that it has for being a pumpkin and its wood color. 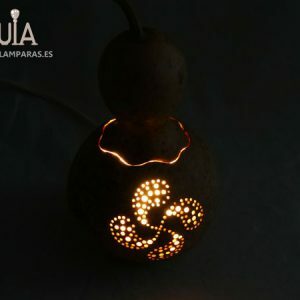 On the upper part it has been opened, to emit an indirect light towards the ceiling that will create a pleasant environment with optimal lighting. 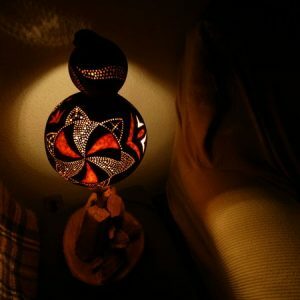 This decorative lamp, as we say, is ideal to put on the bedside table, but it can also be used for any other place in the house, such as a living room, or the entrance of a house. 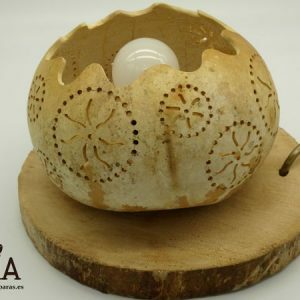 If you are looking to decorate your home in a natural and ecological way, buy this lamp and you will receive it in a few days in your home.